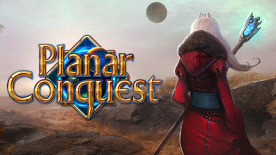 Planar Conquest is a 4X turn-based strategy game inspired by Master of Magic. Created to give you that awesome feeling of the gameplay of the past, wrapped into modern look. "eXplore, eXpand, eXploit, and eXterminate" are the four words which are here to provide fun and challenge.